The world's first 'Sharia compliant' airline, Ryani Airlines, was first launched in Malaysia. It followed strict Sharia laws, with prayers recited before each flight and alcohol strictly forbidden. But it was shut down in 2016 for breaching aviation regulations after a series of delays and last minute cancellations. 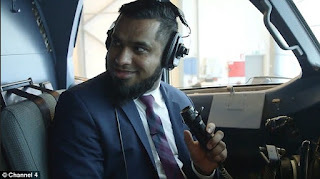 Both Etihad and Emirates airlines, which are based in the United Arab Emirates, where Islam is the official religion, allow alcohol on board, despite it being an offence to drink or be under the influence of alcohol in public. 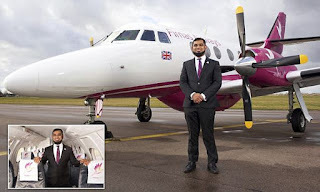 Mr Rahman, from East London, who came to the UK from Bangladesh in 1997 when he was 11-years-old, left school with just one GCSE, and landed a job cleaning toilets at London City Airport. 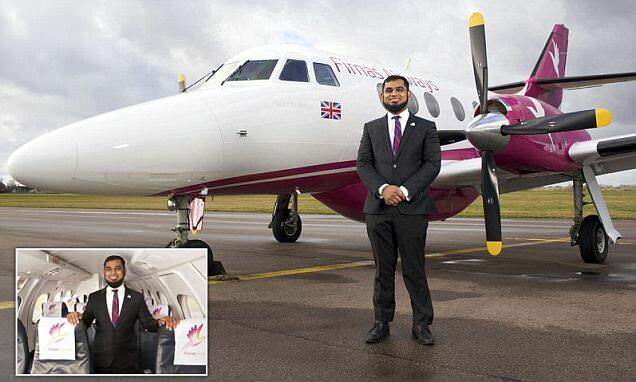 His rags to riches story has seen him start perfume business Sunnamusk with just £600 in his pocket, which now has five retail outlets across the country. But his real passion is aviation - and he tells the documentary how his dream started when he was a child. He said: 'We have grown so fast, it is time for me to explore my real passion.